On 17 October 2018, a civil society Fact-Finding Team revealed serious human rights violations against citizens in Basra for their participation in this past summer’s protests. These findings correspond with Iraq’s High Commission for Human Rights, which found that between 1 August and 7 September, 20 people were killed, 492 people were injured (including 80 members of the security forces), and another 425 people were arrested for participating in the protests. 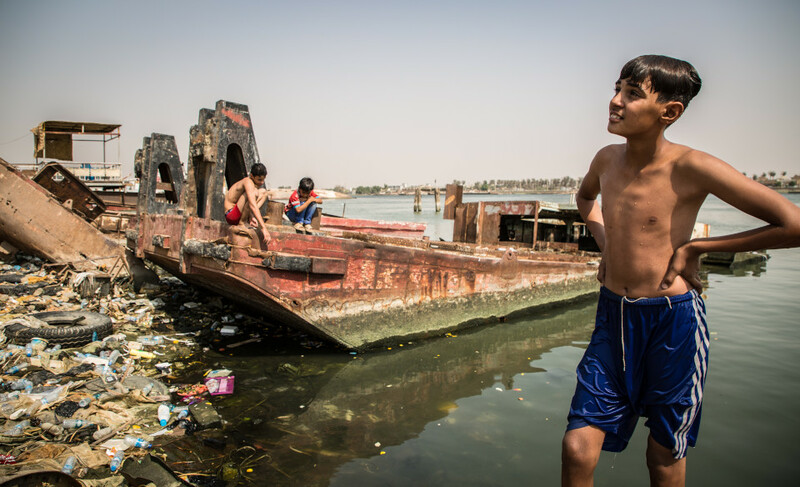 The Fact-Finding Team published, for the first time, key information about the water pollution crisis in Basra which has led to the infection of more than 100,000 citizens. Extreme rates of cancer, asthma, allergies and birth defects have been reported among people living near oil facilities. This report has been sent to key international organizations and governmental bodies in order to highlight the need for the Iraqi government to take meaningful action – especially after the involvement of some government officials in serious human rights violations of citizens that, in many cases, include torture and murder. The Fact-Finding Team carried out testing and analysis of drinking water samples from in and around Basra. The results show that the water is not suitable for human consumption, as confirmed by Dr. Shukri al-Hassan, an academic and expert in the field of environmental pollution. Samples showed that water salinity is more than 20 times the recommended specification by Iraqi government standards. Al-Hassan explained the lethal toxicity in this water and the impossibility of drinking it. He pointed out that the toxicity of this water is not due to the spread of salt water coming from the Arabian Gulf; rather, it is because of the disposal of pollutants (industrial and petrochemical waste) through pipelines, whether from Iran or inside Basra, and spilling into the Shatt al-Arab. Therefore, the Fact-Finding Team advises that it should not be used for any form of life sustenance. It is very concerning that the Iraqi government continues to pump this water into residents’ homes. The Fact-Finding Team also obtained leaked information from a confidential source, who stated that oil companies in Basra were improperly disposing of contaminated materials. 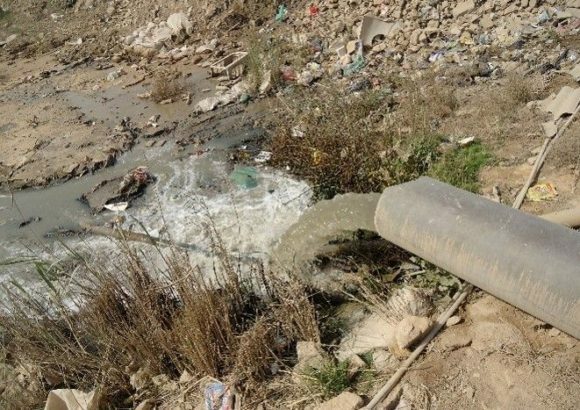 Waste from laboratories and oil facilities, which is usually packed with chemicals, was dumped in the Shatt al-Arab district directly or through sewage channels. When a delegation from the High Commission for Human Rights visited the Shatt al-Arab (from the Iranian side), they noticed violations from companies situated on the river bank relating to their disposal of oil and chemical waste. Iranian waste is disposed of by Iranian petrochemical factories and oil companies into the Shatt al-Arab. The information also confirms that the process of extracting oil in Basra produces, at some stages, polluted gases in the air leading to cancer, asthma, allergies and congenital malformations in some of the residents residing in the general vicinity of these companies and facilities. In 2015, a government official in Basra said that the province records 50 new cancer cases each month due to the polluted air that is associated with oil extraction. In 2018, Basra Province’s Health and Environment Committee also revealed that 4 new cancer cases are registered every day as a result of air pollution. In short, the pollution in the Shatt al-Arab River is significant, not only due to the saline tide but also because of the amount of toxic chemicals from industrial waste being disposed of in the river from oil companies. As well, 30% of Basra sewage water is being dumped into the Shatt al-Arab. This is further shown in the results of the chlorine test in 60 of 170 water stations in Basra, where levels reached zero parts per million (ppm). The different, related crises in Basra have been exacerbated by a lack of attention from the government, and the allocation of jobs and service projects by corrupt political parties. As a result, many major projects have been suspended, worsening high unemployment in Basra – except for those with strong connections to ruling parties or who paid bribes of up to $3,000. Most national factories were closed down, such as fertilizer factories in Al-Zubair and Abi Al-Khasib, and production factories of Thermoston, petrochemicals, dairy, as well as metal and carpentry workshops. In contrast, after a short period of time, an iron and steel factory was opened on the land opposite to where a recently closed factory once operated. It later became known that the new factory was being operated by one of the political parties which has its own armed wing. There are clear and serious violations of oil companies in Basra. Basra is one of the most cancer-afflicted provinces, especially in areas close to sources of pollution (oil and gas facilities). Health institutions refuse to disclose their official figures, but experts and specialists have made it clear that some stages of oil extraction, in particular the flaring of gases, may lead to the emission of carcinogenic gases such as H2S. Citizens have confirmed that the number of people who have congenital malformations, cancer and other diseases increased by 30% since 2003, information confirmed by members of the provincial council. Some oil companies have been accused of exceeding water-use quotas set by the province by injecting oil wells with more water than permitted, which causes a drop in the water level in the Shatt al-Arab. As well, under contracts signed between the Ministry of Oil and oil companies, farmers have been forced to sell their farmland at low sale prices and/or in exchange for low compensation. Due to the increasing concentration of salt in water from the Gulf, and increased pollution in the Shatt al-Arab by chemicals, waste and sewage, large tracts of crops have also been destroyed. These conditions have also resulted in animals and fish being killed, and in the migration of some rare fish and birds to the north.